Stress and weight gain? Yes they are closely associated. Recently published data from the Biological Psychiatry has closely examined the relationship. Depression and stress promote obesity. This study addressed the impact of daily stressors and a history of major depressive disorder (MDD) on obesity-related metabolic responses to high-fat meals. This double-blind, randomized, crossover study included serial assessments of resting energy expenditure (REE), fat and carbohydrate oxidation, triglycerides, cortisol, insulin, and glucose before and after two high-fat meals. During two separate 9.5-hour admissions, 58 healthy women (38 breast cancer survivors and 20 demographically similar control subjects), mean age 53.1 years, received either a high saturated fat meal or a high oleic sunflower oil meal. Prior day stressors were assessed by the Daily Inventory of Stressful Events. Greater numbers of stressors were associated with lower postmeal REE (p = .008), lower fat oxidation (p = .04), and higher insulin (p = .01), with nonsignificant effects for cortisol and glucose. Women with prior MDD had higher cortisol (p = .008) and higher fat oxidation (p = .004), without significant effects for REE, insulin, and glucose. Women with a depression history who also had more stressors had a higher peak triglyceride response than other participants (p = .01). The only difference between meals was higher postprandial glucose following sunflower oil compared with saturated fat (p = .03). The cumulative 6-hour difference between one prior day stressor and no stressors translates into 435 kJ, a difference that could add almost 11 pounds per year. These findings illustrate how stress and depression alter metabolic responses to high-fat meals in ways that promote obesity. Stress indeed can bring about eating the wrong choice of food. Almost always we can’t avoid stress BUT we can do something about it to avoid stress induced weight gain. It has always been my recommendation to my patients that one way to avert the temptation of eating wrong foods is to stock our pantry and refrigerator with foods that are healthy like fruits or nuts so one can prepare healthy food choices instead. Is a Burger Worth 7,500 Sit-Ups? Most people have stared down a pint of ice cream or a bag of chips and tried to figure out how much more they’d need to work out in order to burn off the extra calories. Unfortunately, you can’t really eat whatever you want and just work out a little more later. “No, it is not an even exchange,” Franci Cohen, a personal trainer, certified nutritionist, and exercise physiologist in New York City, told Yahoo! Shine. “In fact, over-exercising will actually cause the muscles to break down instead of build up, and the metabolism slows down as a result of excess exercise as well.” Still, a Texas Christian University study of 300 adults presented at the Experimental Biology 2013 conference in Boston this week found that learning how much more you’d need to exercise to work off a burger was enough to make people pick a lower-calorie meal. Wondering if that candy bar is worth it? Here’s what it would take to work off some of our favorite indulgences. Ben & Jerry’s Phish Food premium ice cream packs 280 calories into each 1/2-cup serving. That’s a little more than an hour’s worth of pumping iron. But who stops at a single serving? Eat the whole pint and do about five hours of weight lifting (or almost two hours of bare-handed rock climbing). I enjoyed reading the link that it makes us realize… fat is really from all the food we eat..and therefore…controlling ones desire to indulge is key to curbing your appetite. Indulge but only on occasions. Recent article published in AMERICAN JOURNAL OF PUBLIC HEALTH brings us back to how fast our world is becoming obese and how slow we have been in addressing this issue. The temptation to eat and the lack of discipline to follow what is right and adequate make each one of us vulnerable to this dreaded condition we call Obesity. Objectives. We examined the effect of an intervention to provide caloric information about sugar-sweetened beverages (SSBs) on the number of SSB purchases. Methods. We used a case-crossover design with 4 corner stores located in low-income, predominately Black neighborhoods in Baltimore, Maryland. The intervention randomly posted 1 of 3 signs with the following caloric information: (1) absolute caloric count, (2) percentage of total recommended daily intake, and (3) physical activity equivalent. We collected data for 1600 beverage sales by Black adolescents, aged 12–18 years, including 400 during a baseline period and 400 for each of the 3 caloric condition interventions. Results. Providing Black adolescents with any caloric information significantly reduced the odds of SSB purchases relative to the baseline (odds ratio [OR] = 0.56; 95% confidence interval [CI] = 0.36, 0.89). When examining the 3 caloric conditions separately, the significant effect was observed when caloric information was provided as a physical activity equivalent (OR = 0.51; 95% CI = 0.31, 0.85). Conclusions. Providing easily understandable caloric information—particularly a physical activity equivalent—may reduce calorie intake from SSBs among low-income, Black adolescents. Letting out kids understand the nutrition information of the food they eat versus telling them how long they have to workout or exercise to burn the calories can make a difference. The impact was noticeable more if kids understand how long they have to run to burn the amount of calories they ingested from the sugary drinks. The easier it is for everyone to understand the equivalent amount of physical activity of what we take in makes sense. You get a clearer picture of what you need to do to burn those calories. A great article and a great wake up call for everyone. AACE Philippines as part of our advocacy is providing modules to Grade school students on the Power of Prevention Through Fitness and Nutrition or POPFTN. For this year, we already have started the program and involved the Grade 5 students of St Bennedicts and for January, we will go to PAREF Springadale both in Cebu. AACE Philippines as an organization composed of Endocrine Specialists dealing with Diabetes, Obesity and endocrine diseases hope to make a difference in the early lives of these kids. High Protein Diet and Alzheimers’ Dsiease: Is There a Link? 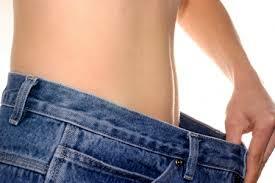 The famous FAD diet fo the century is the Atkins or High Protein diets. Short term weight loss made these diets so popular that even the medical community has to take a second look. One new possible side effect of this FAD- high protein diet is believed to be neurotoxicity that can possibly lead to premature aging or alzheimers disease. In a recent study published in Molecular Neurodegeneration, 2009, 4:40 (21 October 2009), animal studies involving mice that were fed with this kind of diet resulted in having brains that apprently shrank. This clinically may therefore be relevant to the onset of forgetfulness in the long run to humans. This study is experimental but may be a signal to further develop a prospective study to elucidate the important effects of a high protein diet in the brain on humans. Whether this is true to any age group or not remains to be seen. In my practice, I maybe a maverick in terms of prescribing a specific diet plan for my pateints BUT ive always been against any FAD diets which I know will only result in short term results rather than long term outcomes. Better Still… Be Well by Eating Right! My Advise for a Practical and Doable Way to Lose Weight! I happened to be in Manila yesterday to attend the blessing of our society’s AACE office then had a meeting till 12N then another meeting at 1PM then another event at 6:30 PM. And throughout the day from the time I got to the airport to the time I was in the Blessing…I was asked only ONE question…How did I lose weight?! Can you imagine me retelling the reason and the way I did to more than 15 people up to the time I got back to airport early morning today ….so I thought of this topic should be retold and discussed in my website…. The best way to help yourself avoid the probelms of the new century is to mainitain a healthy weight. And if you are overweight then the best gift you can give to yourself for the holidays is to lose weight. I did it for health reasons since I am at risk to become a diabetic being the youngest of a family of 9 with a mother who is a diabetic. I am not a fan of any fad diet and will never be. I believe a high protein diet can help one lose weight but I dont believe it as the magic formula for wieght loss and I know the effect will not last long term. Three key points: 1) set a goal 2) work on it 3) maintain on the strategy. Get a little rice, a serving of meat and veggies then eat… after the portions are consumed…assess if you still need more BUT NOT because you like the food BUT based on whether you’re still hungry or full already. If you FEEL full…then stop…leave the table and o something else. SIMPLE? yes… but in reality the temptation to eat more is so strong that if you dont have the DISCIPLINE to achieve the goal you have set for you to do… then the strategy will FAIL! THAT’s IT! That is my strategy..meaning…I eat what I like but I stop once I feel full. Simple and yet perfect in cutting down a lot of calories. The problem with our society nowadays is that we use food for COMFORT…to Destress our minds…and to ENJOY but at the expense of HEALTH! Then I do my afternoon exercise of enjoying my iPod while brisk walking. Enjoy the sceneries my friends…enjoy the fresh air and get out of your web!!!! For the Holidays…Watch OUT for the FOOD! Yummmy!!!! How to EAT and Lose Weight…. EAT, But stop when you feel you’re already FULL and Leave the table at once. CHEW your food properly so it will take time for you to finish a meal and by the time you’re halfway through…you’re FULL! Avoid the visual stimulation of food… the longer you stay in the table, the more likely you’ll eat more! Then of course… you MOVE! Participants 3287 adults (1122 men, 2165 women) aged 30-69 who participated in surveys on cardiovascular risk from 2003 to 2006. Main outcome measures Body mass index (overweight 25.0) and the dietary habits of eating until full (lifestyle questionnaire) and speed of eating (validated brief self administered questionnaire). Results 571 (50.9%) men and 1265 (58.4%) women self reported eating until full, and 523 (45.6%) men and 785 (36.3%) women self reported eating quickly. For both sexes the highest age adjusted mean values for height, weight, body mass index, and total energy intake were in the eating until full and eating quickly group compared with the not eating until full and not eating quickly group. The multivariable adjusted odds ratio of being overweight for eating until full was 2.00 (95% confidence interval 1.53 to 2.62) for men and 1.92 (1.53 to 2.40) for women and for eating quickly was 1.84 (1.42 to 2.38) for men and 2.09 (1.69 to 2.59) for women. The multivariable odds ratio of being overweight with both eating behaviours compared with neither was 3.13 (2.20 to 4.45) for men and 3.21 (2.41 to 4.29) for women. Conclusion Eating until full and eating quickly are associated with being overweight in Japanese men and women, and these eating behaviours combined may have a substantial impact on being overweight. ___________________________________________________________________________________________________________________ There you go…Simple tips and simple measures that will surely WORK for ALL! How To Be Active Without Trying…. Physical activity is part of the equation of fitness and weight maitenance. “Easier said than done”, everyone knows it best that exercise is key to a healthy lifestyle. Excuses to avoid feeling guilty continue to be part of what makes us believe that we just dont have enough time to exercise! But new studies have been published that physical activity need not be a structured time frame that we should follow … rather any activity should be the norm to our day to day life. 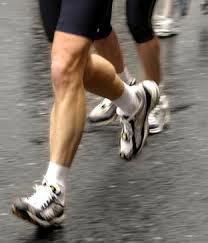 In short…as long as one does not follow a sedentary lifestyle… one should be better off following an active lifestyle. Purpose of review: To discuss the potential importance of spontaneous physical activity in regulating body weight and outline possible reasons for the large interindividual variance in spontaneous physical activity. Recent findings: Spontaneous physical activity is highly variable among people, with some having high levels and some low, and can contribute significantly to interindividual differences in total daily energy expenditure. Cross-sectionally, spontaneous physical activity is inversely related to body weight; however, more importantly, spontaneous physical activity is inversely associated with weight gain in prospective studies, and experimental weight perturbations do not appear to change spontaneous physical activity behavior. Spontaneous physical activity is a familial trait and is biologically influenced, although the environment exerts a significant impact. Summary: Although spontaneous physical activity is a biologically driven behavior, interventions to increase nonexercise activity within the workplace and school hold promise in increasing daily energy expenditure for the average sedentary American. However, many large-scale efforts will need to take place within our sedentary-promoting environment to encourage more daily spontaneous physical activity-related activity. This new study tells us one thing: No more EXCUSES!!!! Any spontaneous movement or activity is better. Even fidgety movements while sitting down working on your computer and other daily tasks that require activity is more than enough for the body to be healthy. Any household chores and any walking to the workplace or the act of getting something are activities of daily living that can help with energy expenditure. These nonexercise activities should not be a problem for anyone to follow. Meaning NO MORE EXCUSES! There you go… The best way to be active without really trying ( going to a gym) is to be more active in our day to day activities. Do it everyday and make it part of a habit and you’re on your way to healthier you! High Protein Diets and Health….. I am always asked regarding the best diet to have to lose weight. 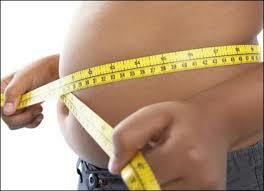 People tend to adhere to diet fads for easy way out. But studies after studies have shown that a fad will always fade and therefore will not have long term success. High protein diets initially were received with overwhelming rejection by the medical community. However, although it is hard to accept, the usual recommendation of healthy diets recommended by authorities never were popular because these diets never resulted in significant weight loss. Until the high protein diet came into full force. A new study published in Current Opinions in Endocrinology, 2008 that looked at evidence regarding the benefits of high protein diet show that this diet really works albeit so far only on short term basis. But coupled with other lifestyle changes and discipline, I bet this is the diet that will work well with diabetic and obese people trying to shed some pounds with a long term aim of beng able to maintain their weights. Current evidence indicates that protein-induced energy expenditure and satiety contribute to weight control. Randomized, controlled trials continue to show comparable, if not superior, effects of high-protein diets compared with lower protein diets on weight loss, preservation of lean body mass, and improvement in several cardiovascular risk factors for up to 12 months. Evidence that chronic high-protein intake affects glucose metabolism is inconclusive at present. Further study of the long-term safety of diets with varying amounts of protein is warranted. On the basis of patients’ metabolic profiles and preferences, practitioners can recommend individualized, nutrient-rich diets within current nutritional guidelines for weight control. Diets moderately increased in protein and modestly restricted in carbohydrate and fat, particularly saturated fat, may have beneficial effects on body weight, body composition, and associated metabolic parameters. Key issues must be resolved regarding the long-term compliance and safety of chronic high-protein intake. This diet resulted in sigificant wieght loss which in turn resulted in significant improvements in cholesterol, blood sugar and reductions in markers of cardiovascular risk like CRP. Cosmetic PLUS health: a bonus! So, do I recommend this diet to my patients. Acutally YES. I have my own dietician and I specifically formulate the plan for my patients with specifics in terms of percent calories per food group. The choice of protein source however is important because one may have a high protein source but also high in saturated fat and therefore harmful to the body example is s Steak!!!! 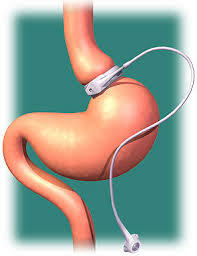 I dont advocate a No carbohydrate meal with the high proetein diet because long term this will never work. Then of course, any meal plan as long as there is discipline, determination to do lifestyle change and maintain the good habit of healthy choices and good clean living should result in more success than you think! We’ll await more long term studies on high protein diets. So far however as long as one is careful not to harm the kidneys further with a high protein load, one should be cautious in recommneding this diet to patients with renal or kidney disease. A Better Weight BY Eating Right! I came across a well written short article on how to achieve a healthy weight. The advises sound so simple yet precise and direct to the point of concern. We tend to disregard simple measures in life and then look for rigorous steps to achieve our goal. That’s where failure can set in. Make things simple and Let them work for you…. 1. Ban the strange diets. They may work in the short term, but almost any strange, extreme diet is doomed to fail. Your best friends when it comes to losing weight—and keeping it off? Choosing healthy foods and eating smaller portions, slowly. 2. Be more active. If there’s one best weight loss mantra it’s “exercise, exercise, exercise.” Choose activities you enjoy and do them every day. Exercising with a friend can help keep you on track. 3. Turn off the television. Watching less TV can give you more time to be active—and less time to be enticed by junk food ads. Two easy ways to cut back on TV-watching: take the TV out of your bedroom, and make sure it’s off during meals. 4. Skip the sugary drinks. Drinking sugared soda, fruit drinks, or juice can give you several hundred calories a day without realizing it. Research suggests children and adults who drink soda or other sugary drinks are more likely to gain weight than those who don’t, and that switching from these to water or unsweetened drinks can reduce weight. 5. Think before you eat. Before you mindlessly reach for a snack, pause and ask yourself, Am I really hungry? Is there a healthier choice? It’s easy to lose sight of good food choices in today’s ad-crazy world. Simple questions like these can help keep us on track. Live Life To The Fullest…By Living Healhty! Wanna Lift Weights? Why Not? When people talk about exercise… it is almost always synonymous to aerobic exercises like jogging, walking and dancing. Never does weight training come into the picture. Combining both should be better! But why lift weights? Is it advantageous than just sweating it out by running? Muscle tissue, bone density, and strength all dwindle over the years. So, too, does muscle power. These changes open the door to accidents and injuries that can compromise your ability to lead an independent, active life. Strength training is the most effective way to slow and possibly reverse much of this decline. Having smaller, weaker muscles doesn’t just change the way people look or move. Muscle loss affects the body in many ways. Strong muscles pluck oxygen and nutrients from the blood much more efficiently than weak ones. That means any activity requires less cardiac work and puts less strain on your heart. Strong muscles are better at sopping up sugar in the blood and helping the body stay sensitive to insulin (which helps cells remove sugar from the blood). In these ways, strong muscles can help keep blood sugar levels in check, which in turn helps prevent or control type 2 diabetes and is good for the heart. Strong muscles also enhance weight control. On the other hand, weak muscles hasten the loss of independence as everyday activities — such as walking, cleaning, shopping, and even dressing — become more difficult. They also make it harder to balance your body properly when moving or even standing still, or to catch yourself if you trip. The loss of power compounds this. Perhaps it’s not so surprising that, by age 65, one in three people reports falls. Because bones also weaken over time, one out of every 20 of these falls ends in fracture, usually of the hip, wrist, or leg. The good news is that the risk of these problems can be reduced by an exercise and fitness routine that includes strength training. As we prevent complications from illnesses to happen…we also should have this obligation to live longer but healthier! And one sure thing to accomplish this goal is to exercise regularly and exercise the right way! Incorporating weight training to your regimen not only strengthens muscles but likewise prevents obesity since the more muscle you have, the less fat you get and the more metabolically active the muscle mass is compared to fat! As a result you likewise help prevent the onset of chronic illnesses like diabetes and hypertension! I do incorporate weights into my exercise regimen. I don’t go to the gym but after my sit-ups in the morning, I then do my routine abdominal twisting disc then do the weights using the arm band that you can buy in sports shops, or my barbell weights. You can likewise do the tiptoe setup by putting you two hands on the wall then tiptoe to raise yourself as high as you can then hold it for few seconds then repeat it 8 to 10 x daily! Simple Rules and Simple Measures For a Healthier You! Want Your Kids To Lose Weight? A new study published in the Archives of Pediatric and Adolescent Medicine showed that cutting TV and Computer time can increase a child’s chances of controlling and losing weight. The bottom line is: by restricitng TV time then the children can do other physical activites aside from benefiting from less exposure to food ads and therefore less chances for them to eat unhealthy junk. My kids love cartoons and of course computer games. But they’re off limits during school days. Only when they finish their study period earlier that I allow them to play their PSP but restiricted to 30 minutes only. The kid’s room has no cable so they cant watch cartoon network or other cable channels where junk food ads are in abundance. They can however watch cartoon movies where I know nothing out of the box commercials promoting something I dont agree with will pop out in surprise! Health Through Better Nutrition and Discipline! Resting To Burn Fat Faster…. Here’s one good news to those who hate long hours of exercise to get a benefit! The exercise regimen that they tested? … Exercise for 30 minutes…take a break for 20 minutes… then exercise again for 30 min…. So just like any activity… the body needs to rest and rejuvenate! Overdoing Even A Good Thing May Do More Harm!!! One should apply healthy cleaning strategies at ones home. Use dust cleaners to avoid dust allergy. Many sort of allergies lead to serious diseases like eczema etc. Go for proper eczema treatment is you are suffering form eczema. Dirty carpets are the source of much kind of allergies. Use handy vacuum cleaner to ensure the complete cleanliness of the carpets. Childhood Obesity is getting to be a huge problem not only in developed countries but worldwide! The AACE Philippine Chapter in fact recently launched our Power of Prevention Program aimed at preventing Obesity among children where different school prinicpals and administrators were invited to the launching initially to involve Metro Manila school children. Now comes a remedy to wegiht gain among children that we can do at home! A new interesting study was recenlty published in Pediatrics November 2007 issue , linking the lack of sleep or inadequate sleep among children and the risk of being overweight. Of 785 children, 50% were male, 81% were white, and 18% were overweight in 6th grade. Shorter sleep duration in 6th grade was independently associated with a greater likelihood of overweight in 6th grade. Shorter sleep duration in 3rd grade was also independently associated with overweight in 6th grade, independent of the child’s weight status in 3rd grade. Sleep problems were not associated with overweight. Well-rested peers with more than 9.25 hours of sleep had at 12 percent rate of obesity. By putting your kids to sleep earlier… means less TV time…means less chances to munch on junk food…resulting in a lesser risk to gain weight! Sleep is as important as healthy food and physical activity when it comes to Weight control. Put Premium on Sleep Than Being Awake Especially For Our Children! There are many sensitive issues that a lactating mother must be keeping in mind. During lactation mother should follow healthy food recipes to avoid any kind of deficiency in her. As a lactating mother feeds her baby on her milk, so she should take complete care her breasts. There are many lactation equipments now available in the market that helps a mother to nourish her baby with her milk. These include medela breast pump, maternity bras and large cup nursing bras etc.